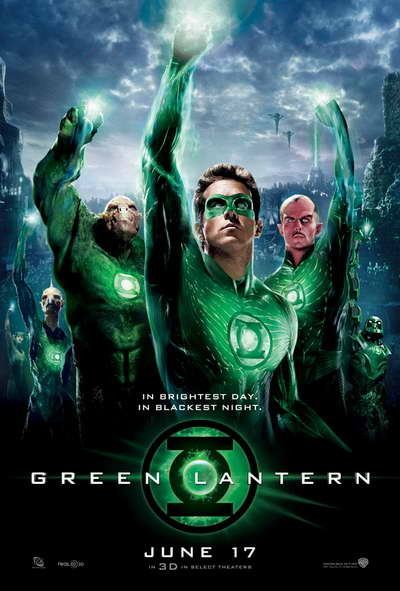 Thanks to the magic of the sneak preview, Blake managed to catch Green Lantern before its nationwide debut on July 17. How did the film stack up to a lifelong Green Lantern fan? Find out in this At the Movies Mini-Episode! Contact us with comments, suggestions, or anything else at Showcase@CXPulp.com! This entry was posted in At the Movies and tagged Blake Lively, Geoffrey Rusch, Green Lantern, Mark Strong, Michael Clarke Duncan, Ryan Reynolds, Tim Robbins. Bookmark the permalink.